pretending to be what I’m not, like art, like imagination. Having only been familiar with David Rothenberg through my own interest in animal studies, which had already led me to his unique book Why Birds Sing, imagine my delight when his name showed up on the latest release from my favorite label—and alongside one of its most singular talents, no less. 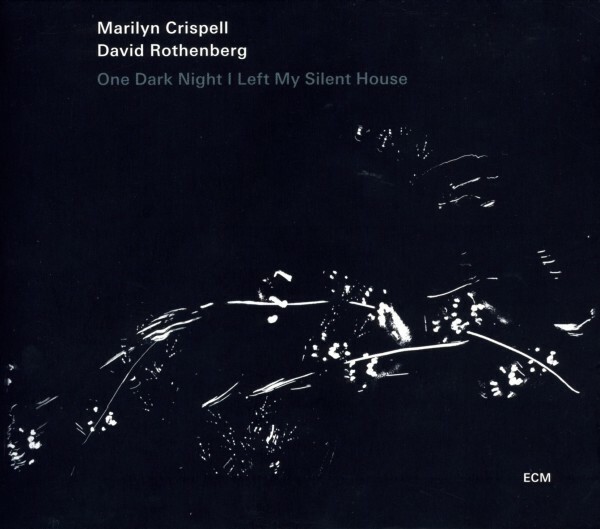 His meditative improvisations with Marilyn Crispell have produced one of the most delightful surprises of 2010. This album is fluid yet abstract, often devoid of melodic traction, but is bound by a certain poignancy that I find utterly engaging. Take, for example, “Stay, Stray,” which begins with airy chords but quickly turns introspective, even regretful, but is nevertheless boldly committed to its indeterminate purpose. Goal-oriented is what this music most certainly is not. Rather, it surrenders to the dynamics of the moment, to the gravity of performance, and to the possibilities of material interaction. In the latter vein, a number of tracks feature Crispell playing an old upright piano soundboard, from which she elicits a playful metallic accompaniment. It is part of her attempt, in Rothenberg’s words, to “get away from the keyboard, more into the realm of pure sound.” In tracks like “Still Life With Woodpeckers,” these sounds are blatantly foregrounded, while in others they linger like ghosts. “The Way Of The Pure Sound (for Joe Maneri)” begins with low-blown notes, sounding almost like a didgeridoo, and walks its line faithfully over Crispell’s exploratory ruminations on the very innards of her chosen instrument. “Tsering” lies somewhere between the two, featuring strings plucked with the fingertips and a few carefully placed notes on the keyboard proper. The unspoken communication between the two musicians is always clear, especially in “What Birds Sing,” “Companion: Silence,” and “Owl Moon.” Even in the more adventurous moments found in “The Hawk And The Mouse,” “Motmot,” “Grosbeak,” and “Snow Suddenly Stopping Without Notice” maintain a mutual delicacy that binds them as a whole. And it’s hard not to be won over by the frailty of “Evocation,” which sets the album adrift on a most dreamlike reverie. Despite the nocturnal imagery implied by its title and cover art, One Dark Night fills my imagination with summer. The opening “Invocation” in particular drips like molasses in sunlight, evoking a hot and humid environment, somewhere rich in agriculture. The piano is like a planted seed, resting quietly in the soil, and the clarinet its first shoots, caressed by the wind, fed by the rain, and pulled from silence by the unblinking eye of the sun. Rothenberg always seems to be putting on a severe frown, like that of a tragedy mask—which is to say his sound is carefully sculpted and symbolic of a long dramatic history. His approach is rooted in nature and survival and rests comfortably on the organic foundation Crispell so lovingly provides. Both of them seem to grasp every ribbon of sound and to blindly follow wherever it might lead. If anywhere, this is where the darkness comes in, forging through that blindness a light of one’s own making, a certain sense of being that is internally of the night, even as it basks in the nourishing glare of its harvest. This may not be the most versatile music, but I think for the right mood and occasion it captures something that cannot be expressed any other way. Awesome album and wonderful review!!! Thank you so much! I only got this album recently, but it has been growing on me with every listen. I’m just sorry I missed their free CD launch party/performance in New York last month. Hopefully, someone who was there will be willing to post a write-up here.